With most full length walk in baths you usually have a choice between a model with just a door and a model with a door and a lift. There are obvious advantages to each, but Kubex now offer a bath that gives you yet another option. The Kubex Pearl is profiled internally to provide a raised seating area. If your needs are such that a door is important but you don't want a mechanical lift or a removable seat then the Pearl might be just what you're looking for. 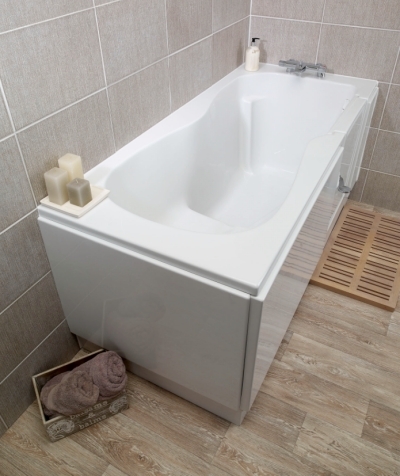 The Kubex Pearl offers a raised seat moulded into the bottom of the bath. This simple addition means you might find sitting down and standing up somewhat more easy. 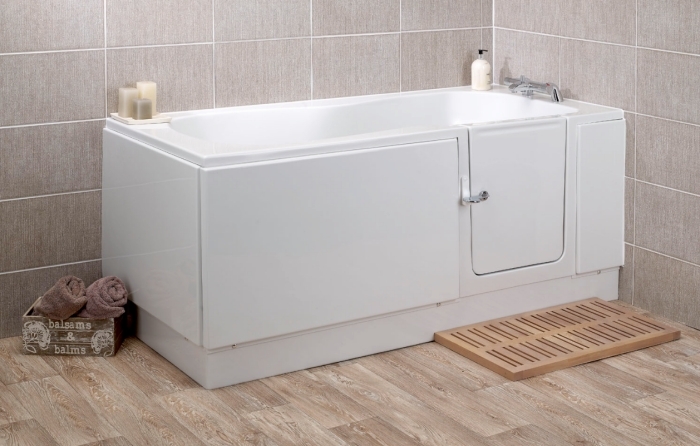 Unobtrusive and easy to clean, the Pearl is designed to replace a 1700mm x 750mm bath with next to no fuss. The Kubex Pearl is available with the door on the left or the right hand side. The door is secured by means of an easy-grip door lever. 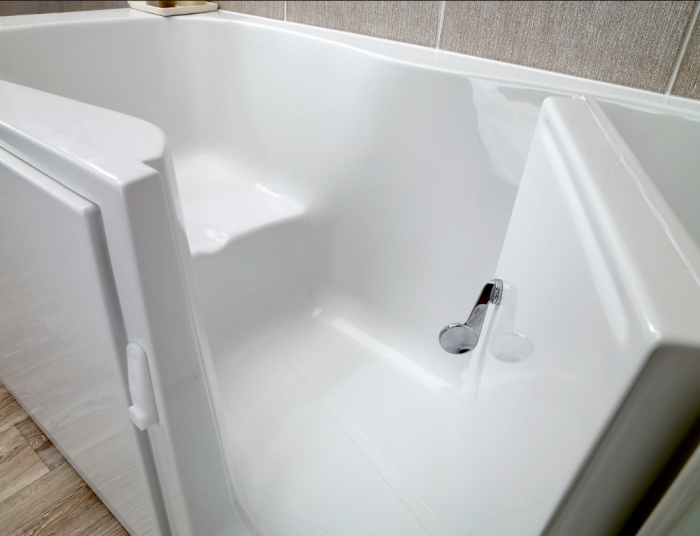 Tip: To decide which hand you want to order, imagine you are sitting in the bath - if the door is on your right then the bath is deemed 'right handed'. Naturally, if the door is on left then it's 'left handed'.